The dramatic Elbe hunger stone is a tourist attraction and is one of the oldest hydrological landmarks. It actually can be seen 126 days a year because of a dam built in 1926, but that doesn’t mean this year’s drought is business as usual. European news outlet The Local reports that the river has sunk to its lowest level in over 50 years. In addition to hunger stones, lower water levels revealed unexploded munitions from WWII. Tourists should be very careful and not seek them out, since they could still explode. Germany’s Lake Elder also grew smaller this summer, revealing the ruins of a century-old village known locally as “The Atlantis of Lake Elder.” You can now see the bridge and foundations. The village was abandoned when the reservoir was built. 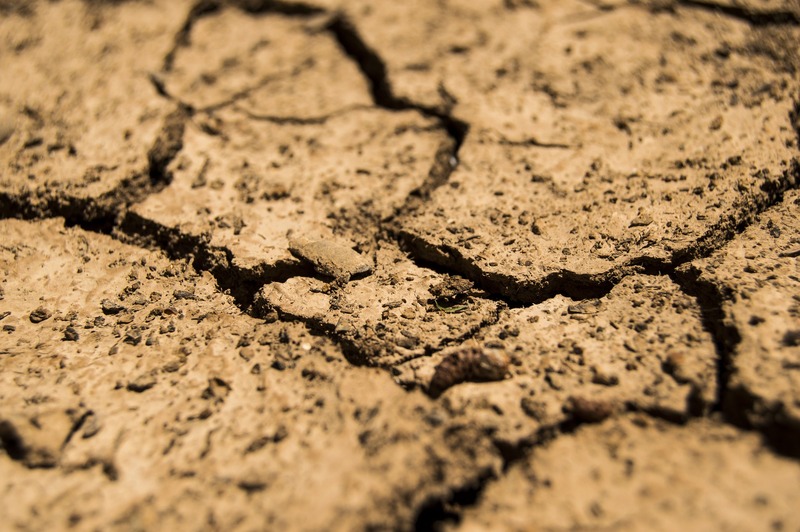 Unfortunately, the reveal of historical artifacts aren’t the only result of drought. Drought brings record-breaking temperatures, wildfires, and crop damage. In Germany, the Netherlands, and Sweden, grain will most likely be down as much as 60%. This could also impact dairy production, as farmers don’t have any feed for their herds. Eight German states reported damage from the drought totally over $3 billion dollars. Some other nasty consequences come along with drought, especially in the city. While crops and cattle die, urban rats flourish. Less water and high temperatures create unsanitary conditions that rats love. While their sewer homes usually flood during rainfall, reducing their numbers, the sewers are safe and dry this year. Rats can give birth to 10-12 babies every month or so, spreading all over big cities like Berlin. When drought strikes, human health is affected negatively. Not only is there less food and water, but air quality is often reduced, too, because of dust and smoke from fires. High temperatures lead to heatstroke and even death, especially for elderly people and those without access to air conditioning. The CDC reports that drought can also cause more disease. This is likely because of sanitation issues. While there have been worse droughts in the past, one cannot ignore how climate change plays into this year’s event. Air pollution and greenhouse gas emissions all affect the climate, raising temperatures and changing rain patterns. One study reports that more than 500 European cities could see increases in weather events like floods, droughts, and heatwaves. Germany and Austria would face the highest heat wave temps, making this year’s drought just the beginning of a deadly pattern. If nothing is done, the message of the hunger stones will be a common sight. Dairy and grain in Germany are affected by this year’s drought, but what other foods are at risk due to climate change?